The BBC has conducted a test to show that Facebook ‘likes’ generated from sponsored ad placements within the social network may be of little value unless tightly targeted. 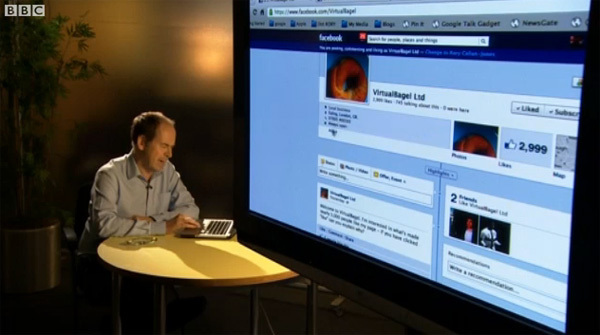 The experiment, in which technology correspondent Rory Cellan-Jones bought ads for a fictional ‘virtual bagel’ company, found that many likes received from the global campaign appeared to be from fake accounts or users from Egypt that liked thousands of pages. With so much of the value of the social networking giant based on its potential ad revenue, and questions over the efficacy of advertising in its tightly controlled ecosystem circling, the exercise speculated that global activity in particular, whether it be number of ‘likes’ or clicks on ads, may be of little or no value. The page for the virtual bagel company was set up with very little information apart from a brief, vague description so that it would be of little interest to Facebook users. However, through an ad in the right hand sidebar that prompted users to like the page with the text “We send virtual bagels, just click to enjoy”, Cellan-Jones received 2999 likes in just a few days. The ad was set to display in the UK, US, India, Egypt, Indonesia and the Philippines to users aged 13-45 years with an interest in health and wellbeing, cooking and early adoption of technology, exposing the ad to a potential audience of 66 million people. Almost all of the likes came from users in India, Egypt, Indonesia or the Philippines, according to Cellan-Jones, with few coming from the US and the UK. Facebook’s analytics show where a page is most popular, which in this case emerged as Cairo among 13-17 year olds. Cellan-Jones made the point that some of his page’s fans looked to be fake accounts which had liked over 3000 pages. Facebook responded to the test by saying it had “not seen evidence of a significant problem”. You can see the company’s full response to the test here. The exercise was conducted using an untargeted campaign and in doing so makes the point that global pages of large brands may have likes from users with limited value, but it also speculates over the value of pages and Facebook ads generally using a single methodology flawed by its lack of targeting. However, Facebook in its defence of the efficacy of its system has also been guilty of cherry-picking data to paint a positive picture in the past. Meanwhile, the industry is still yet to see the full picture of the social network’s effectiveness from an independent point of view.